Usually Finns are described as honest and quiet -even passive people which avoid contact. In some level descriptions are true but there are some exceptions, this post is about those. Here are some situations which proves these exceptions are real. As I mentioned social skills are not actually something we are known for but even Finns are communal. We can actually feel cohesion among strangers and maybe even without interaction with each other’s. Don’t believe me? Let me tell. Finns are quite passionate about winning and ice hockey is a great example. In indoor ice rinks there is nothing else needed than presence and you are part of a group (some fan clothes etc. are a great addition too). However Finns are also very capable to increase team spirit by loathing the opponent together (and NB this requires interaction!). One more example of forming group: common struggle. So we are not good small talkers but when we have a common problem like a bus which is really late we find our lost communication skills. Normally so quiet and passive crowd is now intense and communicative. 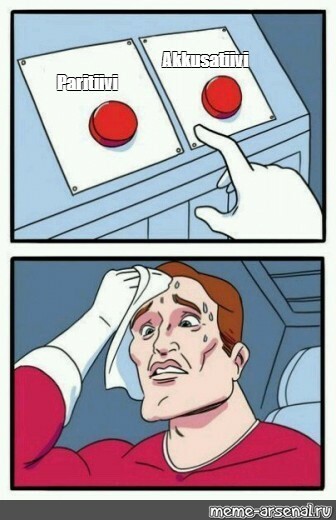 People are complaining and trying to solve the problem together. Of course after the problem is handled the crowd goes back being quiet and passive but for that little moment everyone are social and part of that group. Finns are respectable active when it comes to discounts, sales or getting something for free. Inequality is increasing but still we don’t have that big income difference and Finland is a welfare state. However when a shop called Tokmanni gave free buckets there was a storm because of the multitude. Our grocery stores have big advertisements claiming for sale and people rush in to buy just anything with a sale sticker on it. The most amusing part is that sometimes the value of the sale is something around 20cents (Of course there are actually good discounts as well). There are actually many different associations compared to the population in Finland. The population is 5,4 million and we have approximately 135 000 registered associations. For example many villages have their own association. Along with assosiations we have many diverse unions like trade union or Mannerheim League for Child Welfare. Nowadays social media like Facebook and Twitter make it possible to form different groups and communities and those are also quite popular. To mention one there is a closed group called Äitylit in which mothers share their life with each other by asking for an advice or sharing pictures. Even before the era of social media Finns were really active with all kinds of forums sharing questions and opinions. All in all Finns are actually quite communal and social nation, just a little different way than some other cultures. Finns, happy northern folks or a buch of weirdos? 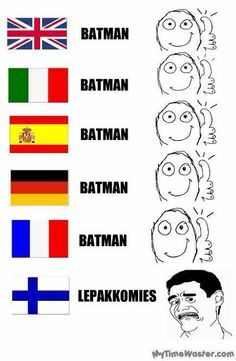 What I love about Finland and Finnish people? First of all, Finnish people are honest and that is what I appreciate the most. If you ask us how we are doing, you are going to actually hear how things are going in our lives, not any lame cliché answer just to keep small talk going. Also Finns are modest, kind and reliable but they speak only when spoken to which I don´t like even though I´m just like that myself… When making acquaintance with a Finn, they may first seem sullen and stony-faced but after a while they melt and become talkative. Few things to know about Finns way of act. If you sit on the bus and the person next to you wants to leave and you notice it. Don´t wait him or she to talk up, just move! And don´t start a conversation. Drinking is limited. Remember to check when the sale of alcohol stops and there is only one store where is sold only alcohol. Alcohol policy is quite strict in Finland. Finland is cold and dark place most of the year. That´s one of the negative sides of Finland. On the other hand it´s wonderful to have four seasons. Of course I prefer summer but a white winter has its charm. The worst thing is that in Finland we don’t celebrate Halloween or thanksgiving. Yes we have Halloween parties and that kind of stuff but it´s not so big deal in Finland what it is in US. October and November are the depressed months and it would be wonderful to have something to celebrate. Of course there is Christmas but it´s so far away. Ice-hockey is everything! The whole nation is watching when lions play in world championships. Racing might be the second popular sport. If you are an individual athletic you have to do very well to have even a little bit of credit. But of course Finland is a great place! Healthcare works well and it´s free and there is no corruption and the education is one of the best! Economy is doing actually pretty well. Who cares about some loan cause it’s not that big and who hasn’t? Okey China hasn’t. Poverty is small and everyone gets social support if needed but still Finninsh people compline. Being a Finn is so much more than just living in Finland and speaking Finnish as my native tongue. Travelling has opened my eyes to some of these specialities of Finns. Everyone knows that Finns might be a bit shy and quiet. (On the other hand, Finns are pretty talented at drinking alcohol and booze makes us seem more social.) Especially older people in Finland don’t mind the silence at all. I think I’m pretty social and talkative – when I’m here in Finland. When I travel abroad, it hits me how shy and awkward I actually am. I also need more personal space than people from another cultures. As a Finn I think a firm handshake is enough when greeting someone you just met. I guess kisses on the cheeks or hugging would scare me a bit too much and bring out all my awkwardness. Finns might be shy but one thing I know is that we are also very proud of our country and our inventions, for example, Angry Birds and Nokia. We’re very committed to using those products since they’re Finnish. Even when Nokia was hitting the low point, Finns didn’t abandon Nokia. When Angry Birds became popular, every Finn had to play it. It isn’t that fun but it’s Finnish. On the other hand, our personal accomplishments mostly make us feel awkward. We’re humble. Education in Finland is widely known to be good. Most Finns can speak also English and Swedish – not only Finnish. There’s also so much people who can also speak German or Russian etc. Our shyness just keeps us from using our skills. We’re too afraid of making mistakes. Questions like “What if I’ll spell that word wrong?” and “What if my pronunciation isn’t right?” are crossing our minds and make us really nervous. 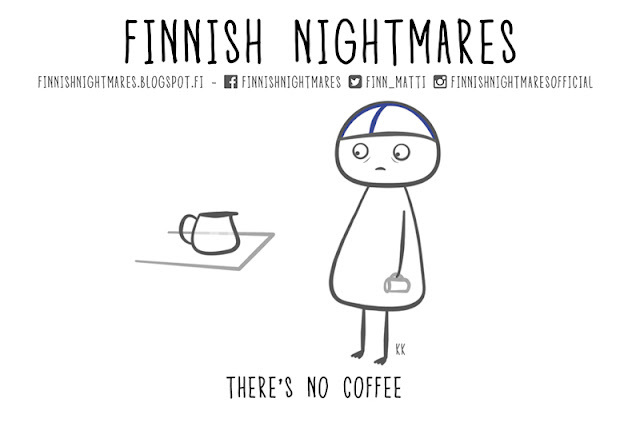 This is one reason why Finns are so shy. Usually when people ask about Finnish food, we’re likely to say there’s nothing special in Finnish food. It isn’t spicy or anything extraordinary. Still, that’s our speciality – mostly healthy food preferably from our own garden. We want to hunt our own food or at least go fishing every once in a while. It makes us feel a bit more Finnish. Finns appreciate simple things. We also enjoy coffee, beer and barbeque. We like to have a good time with our families and friends, those simple gatherings with the closest people in our life make us really happy. Finns enjoy quality time spent with their loved ones instead of meaningless small talk. Finns enjoy quiet environment and being on the countryside. That’s where most Finns spend their holidays – summer cottages are great venues for relaxing and gardening. 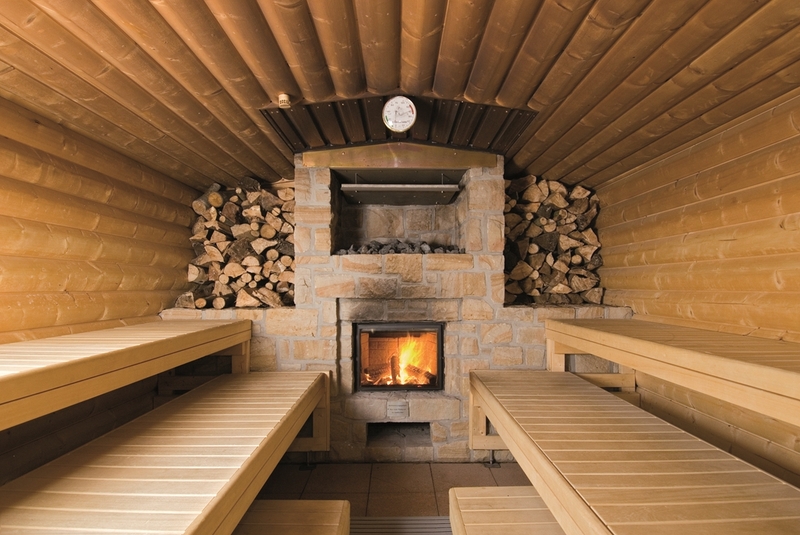 The most important thing every Finn needs to have is sauna. We enjoy hanging out naked with a bunch of random people we’ve never met before. It’s funny how Finns can’t stand small talk but are fine with this. One thing every Finn must love is ice hockey. Finns love watching ice hockey and when Finnish team wins, we celebrate, A LOT. The most important ice hockey game is always against Sweden and it really brings people together. Even if you don’t mind sports a lot, you have to watch the game. Football, basketball and floorball never reach the same hype as ice hockey in Finland. 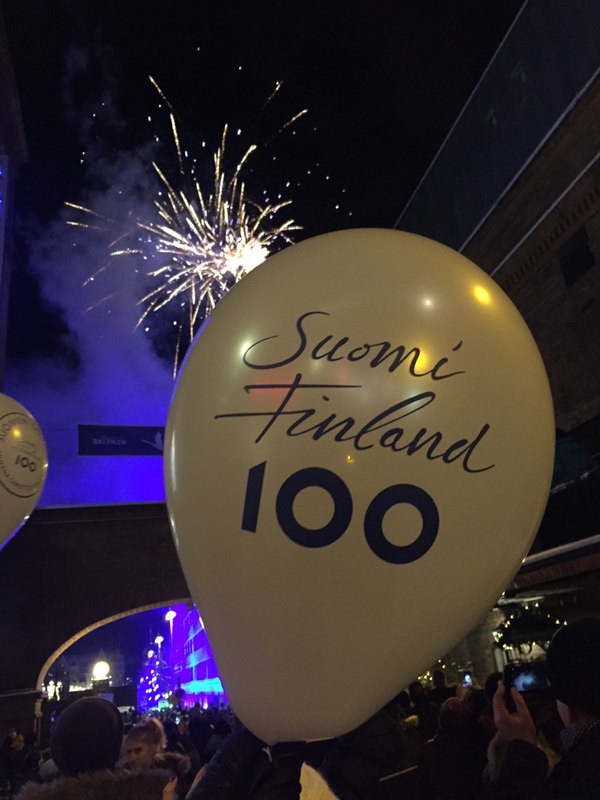 This could be linked to being committed to Finnish products and inventions.